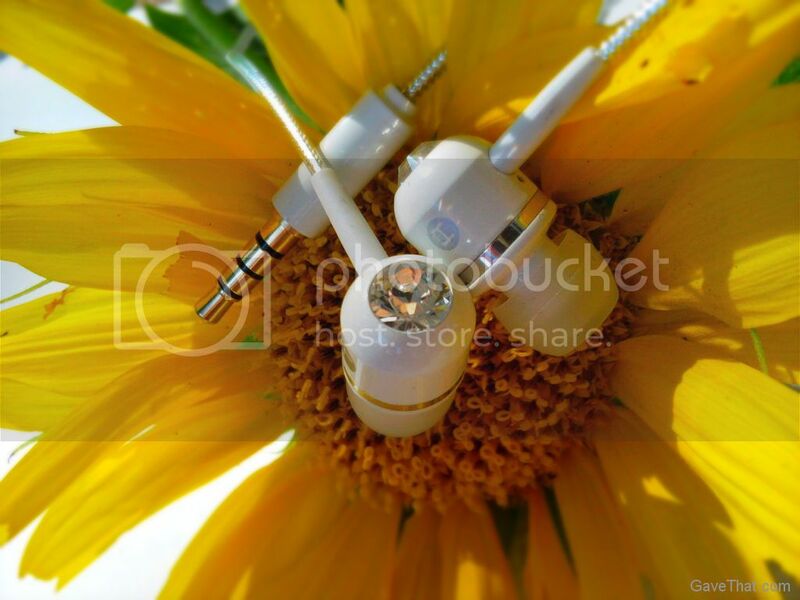 Something white hot today, to go with the heat, are these new in-ear headphones by UK based BassBuds. Right off I must say everything about the design is amazing and incredibly well thought out, down to the box it comes in and the blingy Swarovski crystals embedded into each side. Best of allso is the sound which is really clear and deep. Sneaking into the studio and passing them around (they come with numerous soft ear buds for further customization), everyone was surprised at how good they are and said the bass was superb. Something else really nice is the built in mic on the cable and a button lower down that can be used to pause music and answer calls. These totally worked on different smartphones (including Blackberry), ipods and ipones that I tried them on. Did I mention they're gorgeous? Most of us know someone with earphones practically glued to their ears or are that person (raises hand) so this is such a welcome gift. Durability is key though and these by BassBuds have one major thing going for them which is anti-tangle, double wrapped cables and they really do not tangle. The jack on the other hand is straight up and down which is good for phones and MP3 players but I've found L-shaped ones to hold up better though heavy ipad / laptop use. The cables feel so much more substantial on these compared to any other in-ear headphones I've had that it may really compensate. 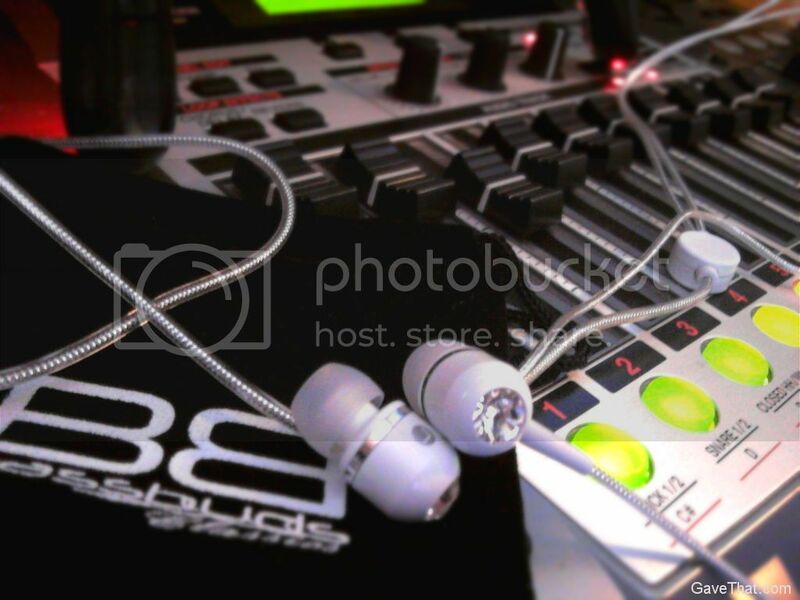 Special perk: Use the code: " BB59823 " at the BaseBuds site to receive $30 off your order! 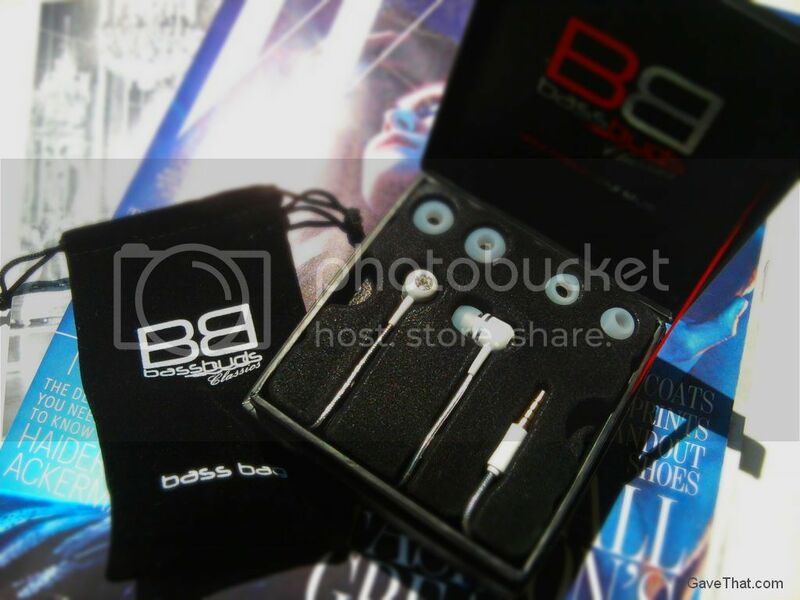 Classic style in Limited Edition White c/o BaseBuds, thank you!